AN Annalong seafood company has succeeded in winning a major new line of business in France. Kilhorne Bay Seafoods has launched its range of new Queen Scallops and it has attracted significant attention in this European market. Assisted by Invest Northern Ireland to develop and market the new product, the company has also invested over £450,000 in state-of-the-art production equipment, which has been supported by the European Fisheries Fund. Kilhorne Bay Seafoods has opened up a new market in Fance with Queen Scallops. The investment in exports is creating 13 new jobs at the Annalong processing plant, which currently employs 33 people. The company currently sells the vast majority of its output of scallops, peeled and breaded prawns and scampi outside Northern Ireland. Key export markets developed by the company include Denmark, Italy, and France. Maynard Mawhinney, Invest NI Food and Tourism Director, visited the company, where he was briefed about the project and sales by John Chambers, Senior Managing Director. Mr Mawhinney said: “This is an important move by the company, which has a strong reputation in seafood processing over four decades. 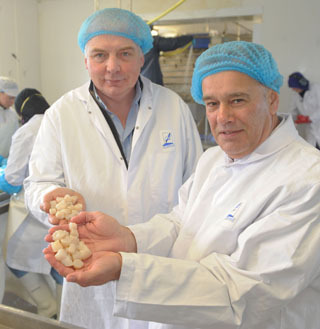 The addition of the Queen Scallops (Queenies) to its existing and successful prawn and scampi products has opened up new export markets offering greater business opportunities. Mr Chambers, commenting on the investment, said: “We’ve had to respond to the impact of EU catch quotas. The decision to diversify into Queenies followed extensive research that has helped us to identify seafood that is not restricted by quotas and which offers a significant market opportunity, especially in Europe. “Queenies are abundant around our coastline and are also attractive because they are sweeter than King Scallops. 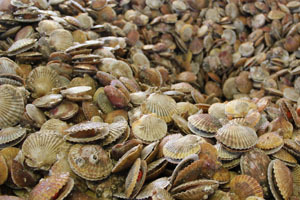 The new product also benefits local fishermen who can extend their days at sea by fishing for scallops in other areas. Using our expertise we are then able to process them for customers in the catering, wholesale and retail sectors and meet increasing demand by leading chefs across Europe. “We’ve have been particularly successful in growing sales in France,” he added. Demand for the Queenies has been strong and the company now supplies distributors in Boulogne and Le Havre, which provide the products to small processors in Brittany for use in ready meals. 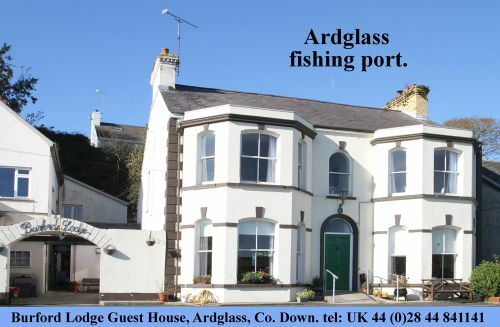 Formed in 1969, Kilhorne Bay Seafoods sources its raw materials from trawlers based in Kilkeel, Ardglass and Portavogie. Quality processed products are now supplied to customers in catering, wholesale and retailing in Britain and other parts of Europe. The company initially processed herring for the German market until the closure of the North Sea fishing grounds in the 1960’s caused by overfishing. When these fishing grounds reopened in the 1980’s the company’s market in Germany dried up. At that time developments in scampi products and processing were taking place, and Kilhorne Bay was among the first to see its potential. This quickly became the company’s core business and remains the case today. The company currently sells more than 90 per cent of its range of products outside Northern Ireland.